Eligibility conditions for IES examination? Re: Is ECE graduate student eligible for IES examination? yes,graduate of ECE student is eligible for IES entrance examination. -->A candidate must have a engineering degree from a recognize university in the discipline of electrical, electronics, civil, mechanical engineering. -->The final year student of engineering are also eligible for this exam. -->for general category the age must be between 21 to 30 years at the time of filling the form. -->For SC/ST student the upper age relaxation is 5 years. ## The IES Exam is conducted by every year and the no. of vacancies are approximately 300.In this have reservations for Scheduled Tribes, Other Backward Classes and Physically Disabled Categories. Paper 2 & 3: Based on core engineering subjects. Paper 4 & 5: subjective tests and questions on core engineering subjects. ## Personality Interview: candidates qualified in written test will be called for personal interview..
For more information visit UPSC website www.upsc.gov.in. yes you are eligible for the examination,your examination code is 4.
after complition of your btech course you will be eligiable to attain IES exam. Yes, ece candidates are eligible for IES exam. IES exam will conduct for every year . Exam will be 3 days exam having both objective type and descriptive types questions. There will be heavy computation for IES exam so prepare well. If you have completed your B.tech course in Electronics and Communication Engineering, then definitely you are eligible for IES Examination. And IES Examination was conducted by UPSC Comission every year, To apply for IES Examination you need to complete your Engineering Graduate degree course form a recognised university and your age should between 21 to 30 years. >> Upper age Relaxation is applicable for SC/ST/OBC Candidates. >> For BC Candidates - 3 year relaxation on age is applicable. So, If you have completed your Engineering Course in any one of the discipline, then you are eligible to apply or IES Examination. >> Electronics & Telecommunication Engineering. So, You have competed your B.tech course in ECE, Then you are eligible to apply for IES 2012 Examination. So please wait for the Notification and then apply for IES Examination Online. The Notification of IES Examination was going to published on 25/Feb/2012. for IES,you write union public service commission exams . educational qualification is graduation in engineering with 4 streams only. age limit is 21 to 30years. -->Age Limit-Candidates age should be in between 21 - 30 years.5 years age relaxation for SC, ST, Government servants and for OBC it is 3 years and for physically challenged age relaxation is of 10 years. Nationality-Candidate should be citizen of India, Nepal, Bhutan, Tibetan refugee, who are settle in India permanently. -->Educational Qualification-Candidate must have done Engineering from any university .and final year students can also apply on this exam . Yes ECE student is eligible for IES exam.ECE student may apply if he is in final year or after completing engineering. TO know the upcoming IES exam see this website www.upsc.gov.in.To apply for you should have minimum 60% aggregate in any recognised university. The maximun age limit is 30 years for all. Relaxation is available for reservation candidates 5 years for sc or st candidates and 3 years for bc candidates. Now there is no IES exam.It will conduct only once in a year. IES exam is conducted by UPSC in once time in year. The Notification was published in the month of January or February in Official website or employment news papers. Yes, You are eligible for IES exam. yes,you are eligible for the same,. As the eligibility crireria for IES examination is Engineering degree from any recognize university in the discipline of electrical, electronics, civil or mechanical engineering and the final year student of engineering are also eligible for this exam. So any ECE graduate candidate is definitely eligible for IES exam. if he otherwise meet the other conditions. You are eligible to take part in IES examination. - Degree should be completed from recognized university. Than you will be eligible to give IES exam. Any engineering graduates can apply for IES.Any stream can write the exam . Streams like computer science,mechanical,civil,IT,Electronics,Electrical and communication etc can attend the written test of IES. Must be a graduate from university recognised college. Should be above 20 years and less than 27years of age. -or equivalent degree from recognized universities. I passed Post graduate B.tech(3 year) from university of calcutta(Rajabazar science college) . My stream is Applied Optics and Optoelectronics. The subject Applied Optics & Optoelectronics is a part of Electronics & Communication. I am eligible for the GATE examination in the branch ELECTRONICS & COMMUNICATION. Can i apply for the different psu exams like bhel, sail, ntpc etc and also in IES? A candidate must have a engineering degree from a recognize university in the discipline of electrical, electronics, civil, mechanical engineering. Passive components and characteristics Resistors, Capacitors and Inductors; Ferrites, Quartz crystal Ceramic resonators, Electromagnetic and Electromechanical components. Yes ECE graduate is eligible for IES exam. 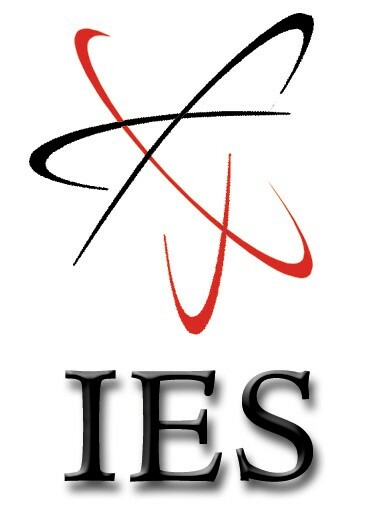 The IES stands for indian engineering services.This exam is conducted through UPSC services. The eligibility criteria for this IES is minimum graduation required. Definitely,you can appear for Indian Engineering Service exam after your graduation course in Electrical and Communication Engineering.Indian Engineering Service exam is conducted by UPSC every year once.This exam is conducted to take qualified Engineer Students into different department in government sector. Age relaxation for sc/st/pd category is 5 year and for obc category is 3 years. If you are appearing for final exam of above mentioned course and stream,then you can also for the IES exam. >>Last date to fill the application form is 24th March 2012. >>Exam will held on 15th June 2012.
yes you are eligible for Indian Engineering Service(IES) exams. ---for general 21 to 30years. ---for BC 21 to 33years. ---for Sc/st 21 to 35years. It consists of 5 papers. Last date to fill the application form is 24th March 2012. 4)The candidate should have the age limit of 21 to 30 for the General Candidates.OBC Candidates have 3 years and SC/ST Candidates have 5 years of relaxation in the upper age limit. The Question Paper contains both objective and Conventional Questions from your Subject. Yes , a candidate from ece stream is surely eligible to write the ies exam. And also the persons who had completd engeneering in eee , civil , mechanical are also eligible .. The candidates age shouldnopt be morethan 30 years ..
the candidate should have 60% in their engeneering .. Yes a ECE graduate student can write IES examination..
ece graduate is eligible to write the IES exam. the age limit is not less than 21 years and not more than 30 years on august 1 on year of conduction of the exam. final year students can also apply to the examination. is CSE graduate Eligible for IES 2012???? An ECE graduate is eligible for IES examination, if he has secured atleast 60% of the marks in his degree. There will be good salaries and good future,if you can get this job. Of course, ece people meet the requirements intended for IES exam. IES quiz is going to conduct intended for every year. Test are going to be 3 days quiz possessing both objective variety along with detailed varieties questions. Design along with qualities involving Electric powered Technological innovation materials; Conductors, Semiconductors along with Insulators, magnets, Ferroelectric, Piezoelectric, Porcelain, To prevent along with Super-conducting materials. Passive elements along with attributes Resistors, Capacitors along with Inductors; Ferrites, Quartz crystal Porcelain resonators, Electromagnetic along with Electromechanical components. Electrons along with openings within semiconductors, Company Figures, System involving present-day move in the semiconductor, Lounge consequence; Jct concept; A variety of diodes in addition to their attributes; The illness Jct transistor; Discipline consequence transistors; Electricity transitioning products for instance SCRs, GTOs, strength MOSFETS; Fundamentals involving ICs - the illness, MOS along with CMOS varieties; basic involving Opto Electronics. Group involving signals along with methods: System modelling regarding differential along with change equations; Point out varied reflection; Fourier series; Fourier makes over in addition to their program in order to process examination; Laplace makes over in addition to their program in order to process examination; Convolution along with superposition integrals in addition to their applications; Z-transforms in addition to their applications to your examination along with characterisation involving individually distinct time frame methods; Arbitrary signals along with chances, Effects characteristics; Spectral solidity; Effect involving linear process in order to randomly inputs. 4)The selection really should have the age limit involving 21 in order to 30 to the Normal Candidates.OBC People get 3 many SC/ST People get 5 a lot of rest in the upper get older limit. The actual Dilemma Report features both objective along with Traditional Concerns from your Subject. Must have completed bachelor's degree in engineering or equivalent M.Sc degree or it's equivalent with wireless communication, Electronics, Radio physics or Radio Engineering as special subjects from any recognized university. Coming to the exam pattern, there will be an objective as well as conventional papers. One paper for General ability is part of the assessment part of Engineering subject. The entire technical subject is divided into four papers. There is penalty for wrong answers. After all the three stages there will be an interview. So these are the complete details of I.E.S Exam. You can definitely apply for the IES exam. The exam is conducted by the UPSC. The candidates should have a B.Tech/B.E degree in any stream can apply for the exam. Even the final year candidates can apply for the exam. The age of the candidates should be 21-30years. For more details you may check the official website of the UPSC. IES refers to Indian engineering services examination which is conducted by UPSC every year. You must have degree in engineering from the recognised university. The posts here would be related to Civil Engineering, Mechanical Engineering, Electrical Engineering,Electronics & Telecommunication Engineering. Even final year student are eligibile to apply for this examination. The age limit determined for it is from 21 years to 30 years. There would be provision for age relaxations for the students who are from reserved category as per notification. Yes , of course you are eligible for IES examination. But being just an ECE holder doesn't get through into IES examination. You need to work very hard in your core subjects as well as you will have General Studies as one paper. So this is both technical and non technical stuff. It is tough but never impossible. You will have a very bright career if you achieve it . Strictly follow the syllabus and make use of technology in your preparation like internet (using e-books, surfing concepts and practicing mock tests). There are many coaching institutes like IES Made Easy , Ace Engineering Academy where they give you good IES material. So work hard and achieve IES. >>Yes, ECE Graduate student are eligible for IES examination. >> But you must have complete your ECE with 60% marks for appearing in IES exam. >> The maximum age is 30 years. >> The candidates belonging to SC/ST category will get 5 years upper age relaxable. >> The candidates belonging to OBC category will get 3 years upper age relaxable. >> Hope this post is helpful for you!!! What are the Eligibility Criteria for SAIL Examination ?